 SUNY Buffalo State's administrative policies are presented in a specific format. Each administrative policy is assigned to a responsible office reporting to the Vice President for Finance and Management, the Chief Information Officer or the Chief Diversity Officer. The administrative policy review committee serves as the conduit for development of new administrative policies and the revision of existing policies. While the committee guides the development process for a policy, the responsible office must provide policy content. The policy initiator identifies a policy issue and develops an administrative policy proposal (either a new policy or a revised policy). The policy initiator submits the administrative policy proposal to the appropriate dean or associate vice president. If the dean or associate vice president is in agreement with the proposal, he/she submits it to the appropriate vice president for endorsement. Once endorsed, the policy proposal is submitted to the administrative policy review committee. The proposal must be clearly written, understandable and submitted in the standard administrative policy format. If the policy proposal is approved by the committee, a draft administrative policy is developed by the policy initiator with guidance from the administrative policy review committee. The draft administrative policy is reviewed by appropriate stakeholders so that its potential impact on the campus community may be assessed. The approved administrative policy is maintained online by the administrative policy review committee. To ensure its ongoing accuracy, the administrative policy is reviewed routinely by the initiator or the initiator’s department.